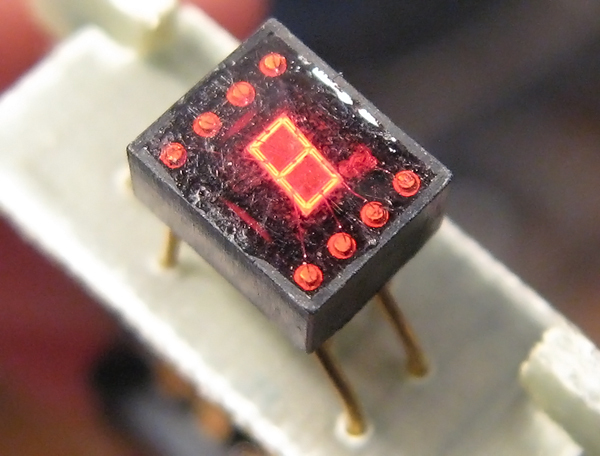 Fairchild's FND-10 is a small numerical display that uses a single LED die for all seven segments, similar to multi-digit displays like the NSA578. This display is extremely tiny: the width of the package is only 6mm. The FND-10 has eight pins arranged in a miniature DIP configuration with a ninth pin located in the center of the displays underside. Company literature claims that this display could be easily read from five feet away, but given the digit's tiny size and 650 microcandle light output, such claims seem wildly optimistic. 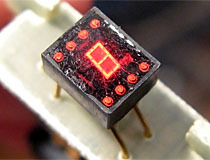 Fairchild FND-10 ultra-miniature LED display. 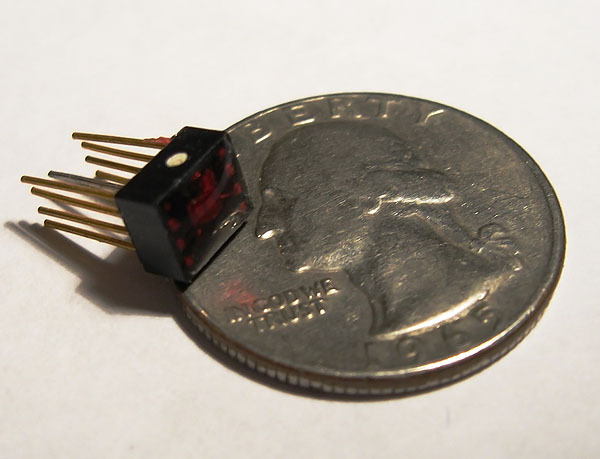 FND10 LED display shown with a quarter for scale. An ad from a Radio Shack flyer for the FND-10.